As a fan of lip plumping glosses, I am someone that considers it to be a good thing when your lips feel like you’ve rubbed an Extra Strong Mint all over them. I don’t know how you feel about it but if that’s something you can relate to, get your arse over to QVCuk.com RIGHT NOW and order up some Bare Escentuals Buxom Babes Lip Gloss. Seriously, my lips have been all a tingle for about an HOUR straight and the colour and finish last just as long as the effects. Plus they’re purdy and handy for a going out bag. 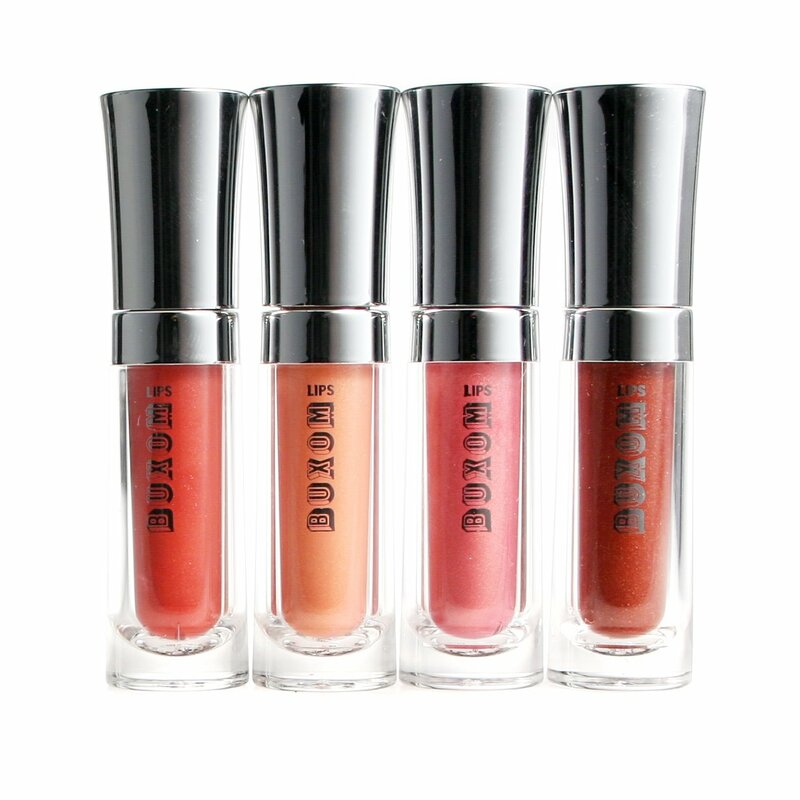 And because we ladies like to have a choice, the set includes four colours: Trixie (golden-pink), Ginger (cognac shimmer), Amber (washed peach) and Candi (rich strawberry). I LURVE Trixie (third in). Tis tres pretty. And they come in a lovely box.